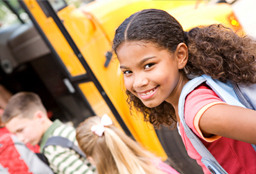 Help ensure the safety of your students by providing child identification! after school and educational outreach programs, camps, PTAs, and Headstart organizations. to protect and empower your students and to provide their parents with peace of mind. as it fosters self confidence and leadership skills, vital qualities now and for the future. and/or contact information, on the front cover of our ChildPrint ID Kit, to use as a sponsorship item. Customizing our ChildPrint ID Kit is easy and inexpensive! Please visit the Custom ChildPrint ID Kit page for more information, or give us a call at 1-888-972-7232, to speak with a product specialist.